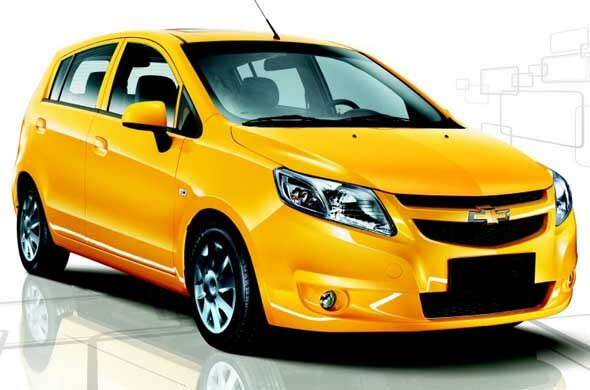 US carmaker, General Motors has stopped the production of diesel variants of Sail U-VA and Sail sedan - both hatchback and notchback and Tavera due to potential emission performance of both these models. The company had stopped the production of diesel powered Sail notchback and hatchback on 5th of June and Tavera BS III on 6th of June. The company however said, the Tavera BS-IV and Sail HB (hatchback) & NB (notchback or sedan) Petrol models are unaffected and production of these vehicles is continuing. P Balendran, VP, General Motors India confirmed the development and said, "As part of General Motors' stringent manufacturing and quality control processes, we have identified a potential emissions performance issue with the Chevrolet Tavera BS-III and a quality issue with the Chevrolet Sail HB & NB Diesel variant. Neither issue is safety-related. Since GM is committed to product excellence, we have temporarily suspended production of these vehicles." The company has been averaging the sales of Sail hatchback and sedan of around 2,000 to 3,000 units and Tavera around 1,500 to 2,000 units. Over 60-70% of Sail vehicle sales comes from diesel, but increasingly the share of petrol is moving up. Balendran said, that the company is working hard to resolve these issues as quickly as possible and will come back with more details in the coming days as it move toward a solution for both vehicles.